20 Questions with Derek Friday, "Peak Commitment"
"I’ve sort of become addicted to this way of life—it’s what makes me tick—and makes me able to handle difficult challenges." 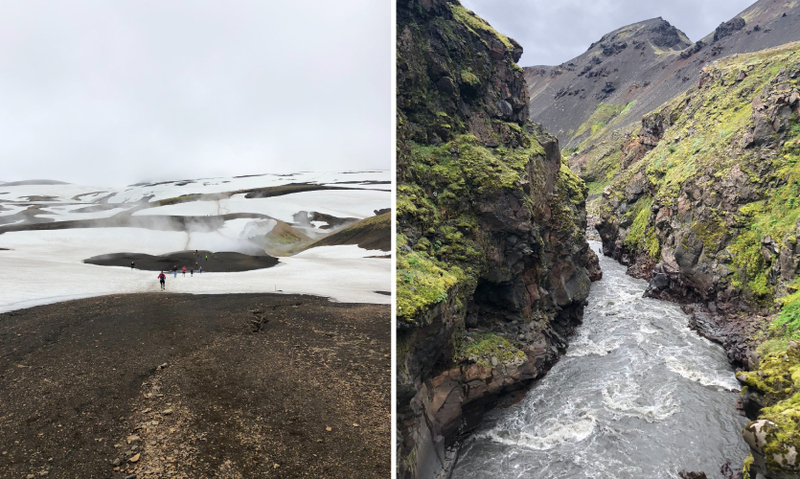 Friday recently ran Iceland's Laugavegar Ultra Trail. The race was 55 km/34.18 mi in length with 5746 ft. of elevation gain. He placed 201 out of 506 runners with a time of 7:08:57. His EGD work in Europe for developer ECE is primarily on shopping centers. 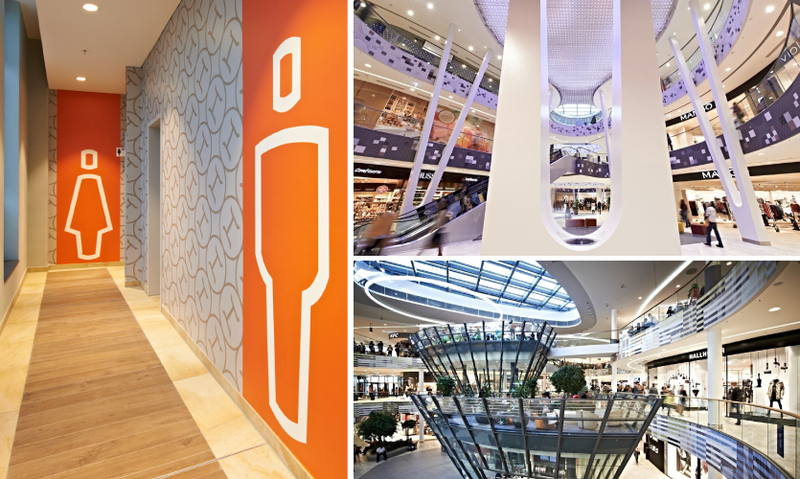 Left: Friday's intricate pattern work at Forum Mittelrhein, a large-scale cultural and retail shopping project in Koblenz, Germany. 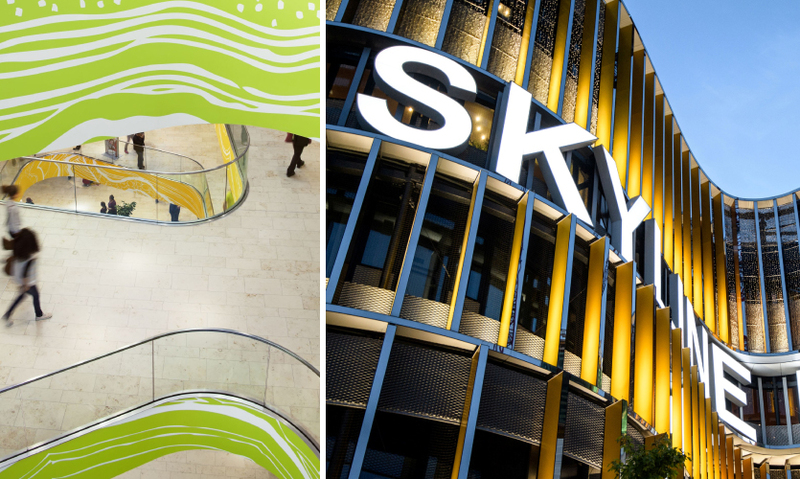 Right: Bold letterforms roll seamlessly across Frankfurt Skyline Plaza’s colorful organic facade. Ashton Design and Finndustry's project Sagamore Pendry Baltimore took home a 2018 SEGD Global Design Award. The metalwork placemaking elements throughout the project are markedly unique and speak strongly to the location. Outside of running ultra races, Friday somehow makes time to do passion projects and market Finndustry. "Regardless of the cachet or compensation, treat every project with complete professionalism," is his advice. 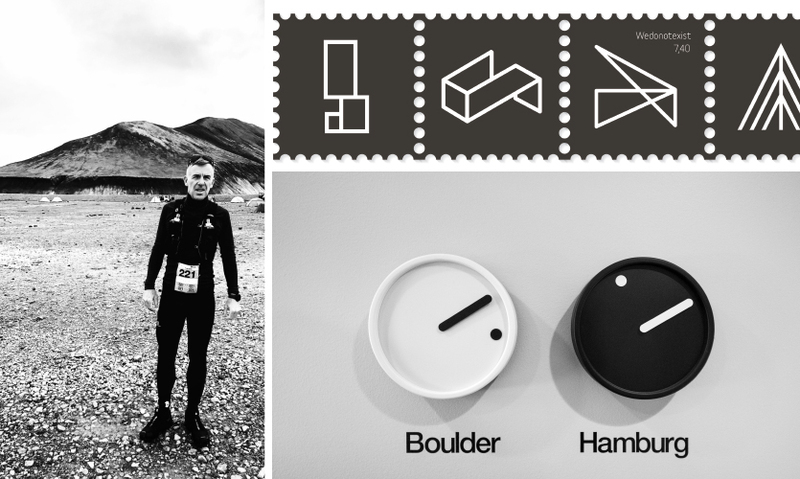 SEGD asks 20 questions of Derek Friday of Finndustry, an award-winning designer and ultrarunner who has committed to pushing his abilities to their peak amidst the uncertainty of freelance work. We met Derek Friday at the 2018 SEGD Global Design Awards ceremony, where he and Alexey Ikonomou were receiving a Merit award for their collaborative work on the Sagamore Pendry Hotel, Baltimore. Friday was excited for the award and as we chatted about design projects and places we’ve lived, he noticeably exuded a sort of quiet intensity, which hinted at where the conversation went next: his passion for ultrarunning. The idea that his sport might have a symbiotic relationship with his work was especially intriguing. Friday is an experiential graphic designer who studied Environmental Design and Art & Architecture History of 19th & 20th Century Europe at Miami University in Oxford, Ohio and Luxembourg. While based in Boulder, Colorado, his award-winning work can be seen in projects in the U.S., Europe and the Middle East. 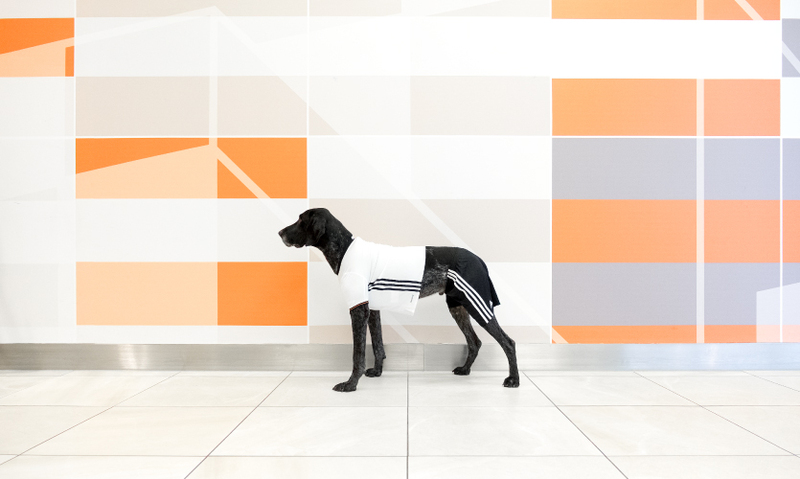 For the past 15 years, Friday’s practice had consisted primarily of immersive branding, signage and wayfinding design for a number of major architectural and development firms on large retail and mixed-use projects. Nine of those years have been as the lead creative for his own solo-preneurship (and sometime small agency), Finndustry. 1. 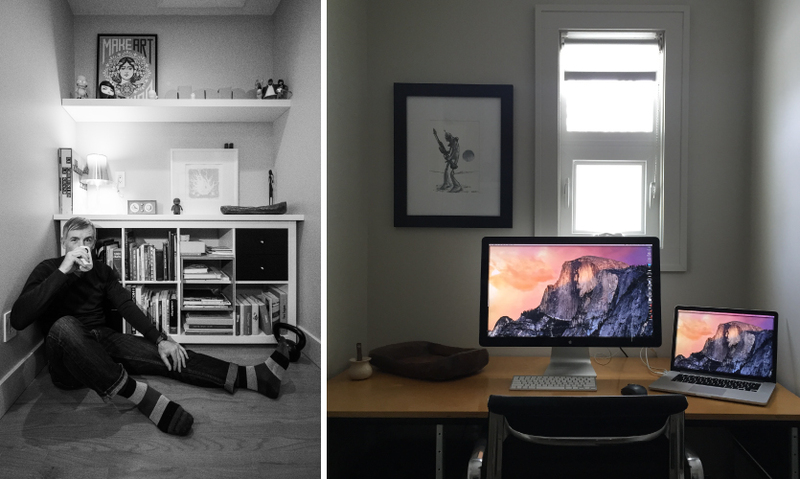 Why freelance or solo work? DF: I actively seek contracts that allow me to work at length with others. I’ve always felt that the strongest design solutions are the product of a collective effort and enjoy and appreciated the spirit of collaboration in a traditional design office. In fact, it wasn’t until the small boutique agency I was working with, CommArts, Inc., was acquired by a large corporate engineering firm that I considered going out on my own. At that point, I was far more interested in continuing to do the actual work versus delegating to others and propagating the corporate culture. So, when a long-term client and trusted friend gave me a chance to jump ship with guaranteed work, I took the chance. That was essentially how things started. Fast-forwarding, my dedication and commitment to be an endurance athlete and ultra-runner (traditionally distances beyond a marathon and almost always with tremendous vertical gain) have further justified my unconventional career path. They have proven to be unmistakably codependent and I can’t imagine things any other way. 2. How much of your work is EGD? DF: For the past several years, the EGD work has represented 60 to 70 percent of my projects. 3. What does a typical month look like for you? 4. When do you sleep? DF: (laughs) I actually go to bed really early and sometimes have to take a nap after a run. 5. How do you manage the vicissitudes of not having a salary? DF: S**t, I’m terrified about this every month. All I can do is keep going, continue to stay confident, nurture relationships and seek opportunities as professionally and efficiently as possible. My commitment to endurance sports and ultra-running sustain me and truly help keep me balanced and clearheaded as it relates to the pressures and everyday challenges that come with the lifestyle I’ve chosen. 6. Ok, let’s dig into that: How did you get into ultra-running? DF: About four years ago, I got into this mindset of wanting to be an absolute professional at everything that I undertook. Around that same time, I made a commitment to test my limits as an endurance athlete and see what my body could do. For most of my life I’ve been a runner, and the outdoor sports scene in Boulder has definitely influenced me. At some point, my friends and I started doing increasingly epic things like run rim to rim of the Grand Canyon or up 13,000 ft peaks, which led to these yearnings to learn how to push my mind and body beyond anything I’d done before. I started by doing a ‘reset’; I signed up for my first ultra race, stopped drinking alcohol and completed the ‘Whole 30’ eating plan. It’s definitely been a major commitment: When I do train for races, at the peak I’m usually running 60-80 miles a week, which ends up being 15-20 hours. At the same time, I was at this point professionally where I decided to only do really, really, good work. I know I’m never going to be a ‘celebrity designer,’ (at least I don’t think so…) but I want to take every opportunity to push and do very high quality work no matter what the project is—no matter what the fee is—no matter what kind of exposure I will get. I have stuck with these commitments and with each new experience, race or challenge I give myself, I’ve sort of become addicted to this way of life—it’s what makes me tick—and makes me able to handle difficult challenges. 7. 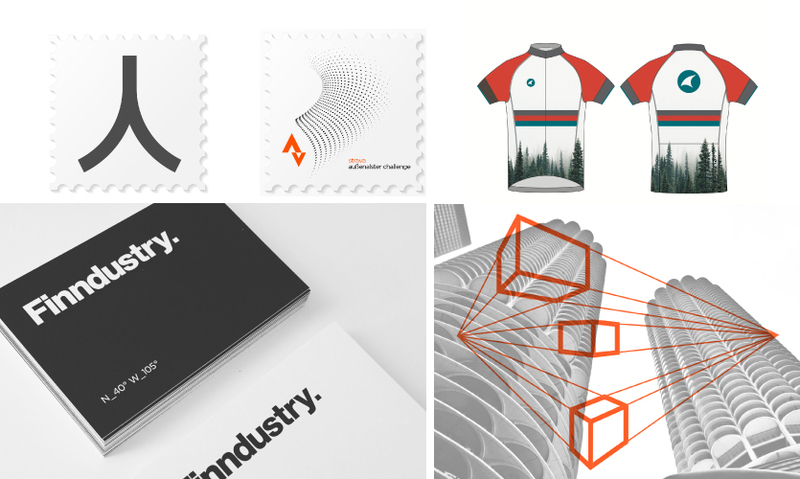 Would you say your running and design work are symbiotic? DF: Yes, I think they fuel each other. The time that I spend in the mountains pushing my body, I’m also pushing my mind and genuinely working out a lot of issues with design problems, clients, or how to handle things in my professional world. I’ll often stop running to do a quick sketch or make a note or voice recording on my phone, and when I’m running with a partner—who is almost always a designer as well—we will do a charrette together while on the trail. On the other hand, when I’m burnt out from being at my computer for a long time, I know I can get outside and get some air. I can have that recess and come back to my desk to have a much more productive second half of my day or session. Using both aspects to my advantage motivates me: Knowing that I’m training for something helps me get through the difficult times working to a tight deadline, for example. I truly feel the combination of these two things is really making me a stronger designer, a better individual—it’s helping me grow my mind and body to the point where I really don’t want things to change, I only want them to continue on this upward trajectory of challenges. 8. You also spend a lot of time in Germany, right? DF: For the first three years of my freelance life I was going to work with Hamburg-based retail development group ECE’s creative design department every month for a week. Eventually, it changed to two weeks every other month. The company gave me a lot of freedom and opportunity to be a freelancer and still have steady work. I’ve worked with them for almost 10 years now and have touched more than half of all their shopping projects across Europe (totaling more than 125 centers). This year has been a little different, I suspect it may be uncertainty about the economy. 9. Do you speak German? DF: I have a decent vocabulary and can piece together basic conversations. Thankfully, most business is done in English, but I do have to read a lot of German in the drawings and documents I’m working with. 10. What have you done to mitigate difficulties as the work from your biggest client has been less steady over the past year? DF: It’s actually been a blessing, because I’ve been able to dig into traditional graphic design more deeply. 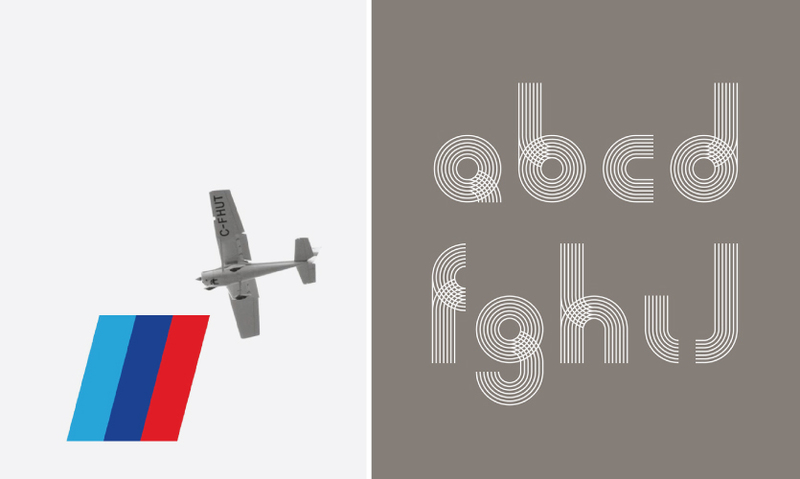 I’ve done a lot of identity projects, some print work, posters, packaging and a handful of smaller EGD projects. I have to do about four of these smaller projects to equal one larger project, but it’s a challenge I embrace. I would like to establish a couple of retainer-like relationships, as 2019 is expected to be a thinner year. I’ve found that some firms prefer to work with designers like me who have ample experience but don’t need to be hired onto staff. 11. 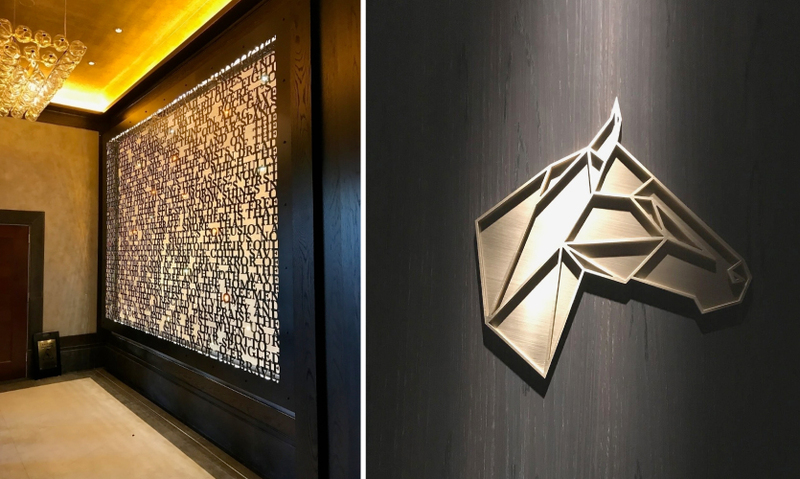 The Sagamore Pendry Baltimore won a 2018 SEGD Global Design Award—what made that project stand out for you? DF: The Sagamore Pendry and Sagamore Spirits projects represent the highlight of my career thus far, not because of the accolades, but being able to do a project that was solely about what I can fully offer a client. Being able to create this family of elements that integrates so seamlessly in the environment was the pinnacle of my understanding of how EGD can work with architecture. I’m really proud and hope I can do many more projects like it. 12. 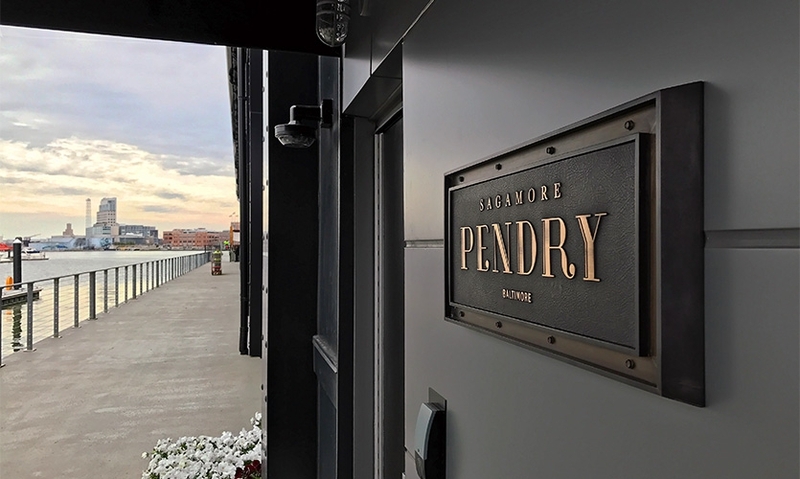 You worked with another firm on Sagamore Pendry—how did that partnership function? DF: I had worked with Patrick Sutton Interiors in the past and was invited to submit a proposal for that project. It went on for about two years before it was official and underway. It just made sense to have a partner in Baltimore, so I asked my very close friend and colleague Alexey Ikonomou, principal of Ashton Design to work with me, each playing to our strengths. I spent more time in the conceptual and he on the fabrication coordination, but we shared the design 100 percent. Along with another friend and colleague, Keith Kellner of Ashton, we worked with one junior designer, all essentially art directing each other. I wanted it to be ‘our’ great thing, not ‘my’ great thing and that’s why it worked so well. Alexey and I had this agreement that any hotel work we may receive from the Sagamore Pendry, we’ll always do it together. 13. You’ve been doing this for a long time. How does your work lifestyle affect your personal life? DF: The way that I’ve made it work is just to do it all and not complain. With all the craziness of domesticity, oftentimes the minimum eight hours of billable time is actually spread across 18 or so. If there are hellacious deadlines and I need to labor in isolation, I work around that. When you decide to be a freelancer, there are all kinds of obstacles and hurdles you have to constantly jump over and through. 14. So, you work from home? I do work with other colleagues in their offices from time to time, but don’t do the coworking thing. 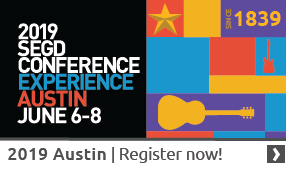 There are a lot of small firms here and I’m pretty embedded into the design community, so oftentimes I’m invited to come and hang. 15. How does her work affect yours? DF: Megan has a small fashion business called Miss Magoo. She is a master colorist and pattern composer, completely in touch with the bespoke custom-fabric world. As a graphic designer, her work helps me with color combinations, trends and pattern design, which I frequently incorporate into my work. I have a lot of respect for anyone who can bring together patterns, textures and colors so effortlessly. 16. Do you do the administrative functions of your businesses, like billing and bookkeeping, yourself? 17. Freelancing is fraught with potential disasters and every freelancer has a horror story—or ten. What’s your best advice for avoiding some of those pitfalls? DF: Regardless of the cachet or compensation, treat every project with complete professionalism. Nurture your professional relationships. Don’t lose your cool or burn any bridges. Know when to politely back away. The horror stories don’t happen often, but they do happen. The way to come out ahead without bad feelings is to not do anything stupid. The ‘old Derek’ made a lot of mistakes, so I’ve learned a lot of hard lessons and now I’m consistently good at troubleshooting and being aware of where a situation can turn for the worse. If I’m being abused or taken advantage of, I slowly back away with a smile. But in most cases, I simply return to: ‘I just want to give you the best product possible.’ I remember that I’m really fortunate I am able to get paid to do something I love so much and have the freedom that I have. You never know what could happen, or who that client might refer you to, or what award it might win, or what stone it might overturn. 18. You mentioned passion projects earlier. What are yours? DF: A while back, I started doing these photo edit compositions, tiny graphic projects in the form of stamps and others, all of which mostly ended up being content for Instagram,until I was asked to do a limited print giveaway on a creative-driven social media platform called ello.That was the motivator to actually start selling prints on my bigcartel site.It’s fun. 19. What are a few projects you are most proud of? DF: I hope I can inspire others to take the leap and craft their own destiny, despite the fact that it comes with a lot of hurdles, challenges and uncertainty.